Are you looking for the best beaches in Batangas Philippines? Then you came to the right place! Located close to the capital of Philippines, Batangas is a very popular spot for both locals and vacationers alike. This place is filled to the brim with exciting activities, delicious food and so much more! Batangas has plenty of activities for anyone who is searching for both relaxation and adventure. There are tonnes of beautiful beaches, picturesque islands, with heaps of water-related activities to choose from. And if that wasn't enough, there are also museums to check out, great restaurants and even a volcano! Are you enticed yet? I that know you are! 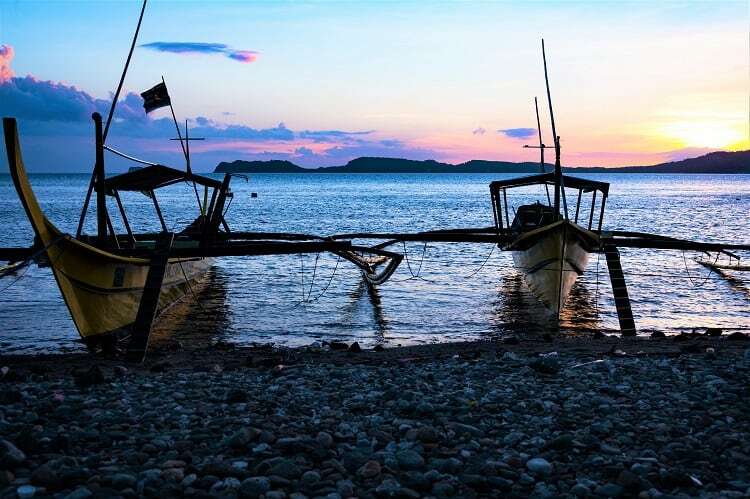 Batangas is easily one of the most popular summer spots in South- East Asia. If you are planning on visiting here there are plenty of hotels, retreats, and resorts to stay at as well! You can check out some of the best resorts on our post here: Looking for the best resorts in Batangas Philippines? 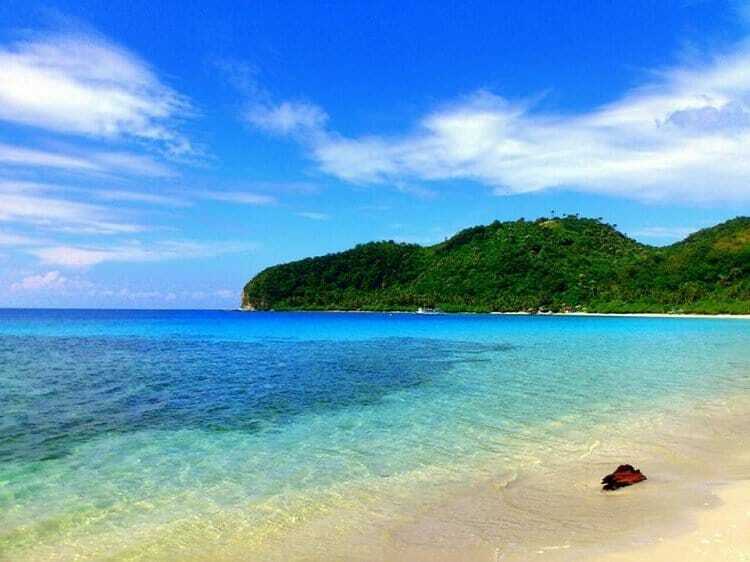 Here are our absolute favorites, and according to popularity, top beaches in Batangas Philippines! We love them all, but of course, there are a few that are our top pics as well. Which one of those below is your best Batangas beach? San Juan is home to plenty of beautiful beaches, however only one stands out live a jewel in the crowd. That is, of course, Laiya Beach in Batangas. Although Laiya Beach San Juan Batangas is not as well known as some of the other beaches such as Nasugbu Beach, the soft white sand of Laiya is fast becoming the most popular of Batangas beach Philippines options for both locals and tourists alike. Although it is a public beach in Batangas, there is plenty of sand for everybody! 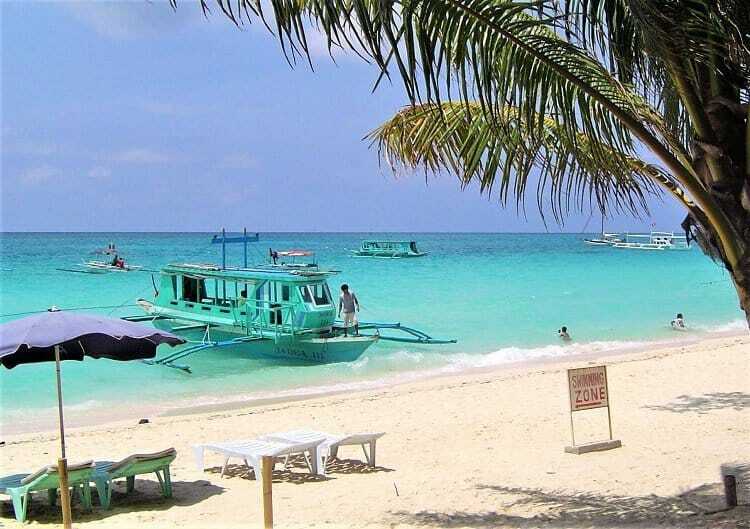 Laiya is the No.1 of the best beaches in San Juan Batangas! Laiya Beach San Juan Batangas is a perfect place for people who are looking for a beach that has a lot of resorts to choose from and doesn’t feel too overpopulated as yet. 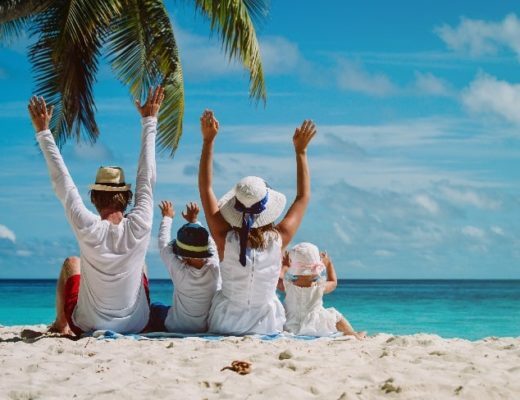 And if you are looking for something to do whilst at the beach, you can choose to go for a swim in the bluest water or take a pick from many of the water-sport activities that are offered by the local resorts. They offer boat rentals that can be used to explore local coves. Alternatively, you can choose to go places in a kayak, or part-take in a fly fishing trip. Another thing you will want to do while staying on this beach (Laiya San Juan Batangas) is to go scuba diving and snorkeling. Oh yes! Although this beach is not yet well known for their scuba diving and snorkeling spots, there are some fantastic areas just off the coast that are perfect for these activities. All the equipment you need will be available for rent at any of the resorts. Alternatively, if you are looking for something a little bit different, try going on a hike up the local Mount Daguidol and check out some amazing views! Burot Beach Calaragan Batangas, without a doubt, is one of the most popular of Batangas beaches and is ranking as the best white sand beach at Batangas as well. The Calatagan mangrove forest Conservation Park and the Cape Santiago Lighthouse are also considered as huge attractions for tourists. However, they will not steal the thunder for popularity next to its' exceptional beaches. One of the top beaches in Batangas! 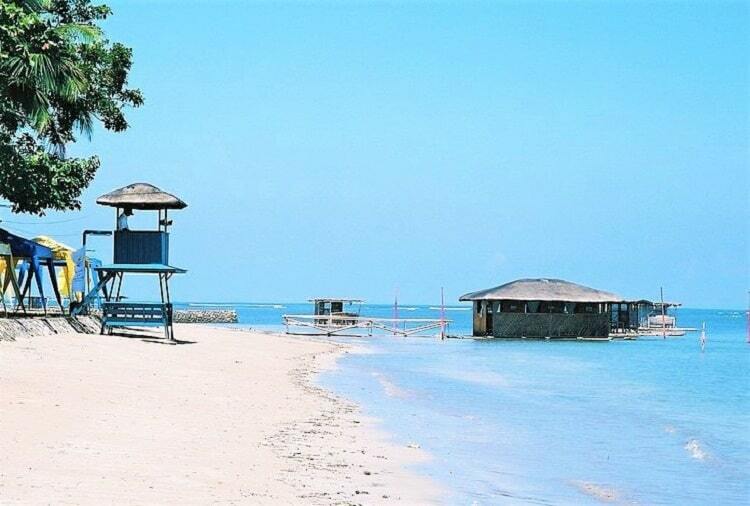 The three most popular beaches in the area are Burot Beach Batangas, Ivory Beach and Nano Beach. If you are looking for a beach that is a little less crowded though, don’t worry, you will find plenty of those here too. There are tonnes of beaches in the area that are perfect for both day trips or extended stays. The beach at Nasugbu Batangas is probably one of the most recognizable of all the tourist beaches in the area. The beaches in Nasugbu Batangas are surrounded by beautiful coves, which are a huge attraction for the tourists. If you are interested in checking them out, all of the resorts in the area offer a selection of very informative cove tours as well. A beautiful white beach at Batangas and cheap beach Batangas option! Apart from chilling out at the Nasugbu Batangas Beach, you can always choose to go for one of the two great hikes, such as Mount Pico de Loro and Mount Batulao. If you are more interested in staying in the water, however, no need to worry here. There are heaps of things to do here too! You can choose to get your adrenaline pumping with some cliff diving or enjoy some blissful time snorkeling and swimming. Beaches in Nasugbu Batangas are definitely worth a go! Tip: Although this is a very popular beach spot for tourists and the best white sand beach in Nasugbu Batangas, this beach is still ranking as one of the more affordable beaches in Nasugbu Batangas! Anilao Beach is a very popular beach spot, not for sunbathers, but for people who are looking for fun and adventure in the water. If you enjoy being extra active on vacation, then Beaches in Anilao Batangas are the perfect spot for you. Being located on the Calumpang Peninsula, which is known for its colorful and diverse coral and marine life, is the most popular diving spot in the country. The best beaches in Anilao Batangas! And if you don’t have any diving experience? No problem here! Almost all of the resorts in Anilao offer scuba diving lessons for beginners. They will be able to provide you with a crash course in everything you need to know for a safe dive, and usually offer group diving trips as well. Love scuba diving? Here is a brilliant guide about the best spots to go scuba diving in the Philippines. A visit to Tingloy will be a trip you remember for the rest of your life. Tingloy is a perfect choice for anyone who wants to visit a beach that isn’t as crowded as the close by Anilao. And Masasa Beach Batangas is such a place! My top pick for the best beach Batangas has to offer and a gorgeous white beach Batangas! There are many areas of the beach that offer privacy and relaxation. There are also many islands surrounding Tingloy that are easily accessible by boat, which you can rent from any of the resorts on the island. This is the best beach Batangas has to offer when it comes to a blissful and peaceful time! Although many beaches in Batangas are known for their white sandy beaches, the shores of Lobo Beach Batangas offers a different experience. The sands of Lobo are rocky with coarse sand. Although this is not an area you would want to visit if you plan on spending the day sunbathing, it is perfect for someone who wants to do some exploring. Ranking as the best rocky beach at Batangas, a cheap Batangas beach and a very nice beach in Batangas! The stone covered shores are filled with beautiful rocks and there is even a submarine garden which has been declared a fish sanctuary. You can choose to scuba dive or snorkel a small distance from the shore and see the large array of living coral and a multitude of colorful fish. 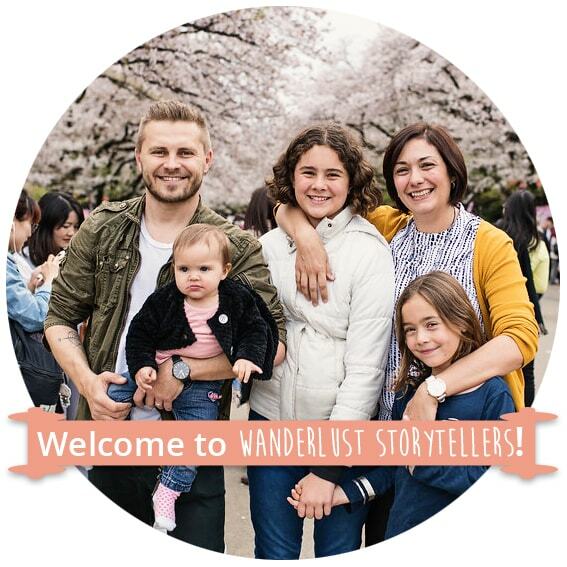 Make sure to visit the beach during low tide to easily see all of the coral and get some beautiful pictures that you will want to share with all your friends. Originally discovered and populated by the Germans, Matabungkay Beach in Lian is world famous not only for its beautiful beach but also because of its trademark balsas (floating rafts). 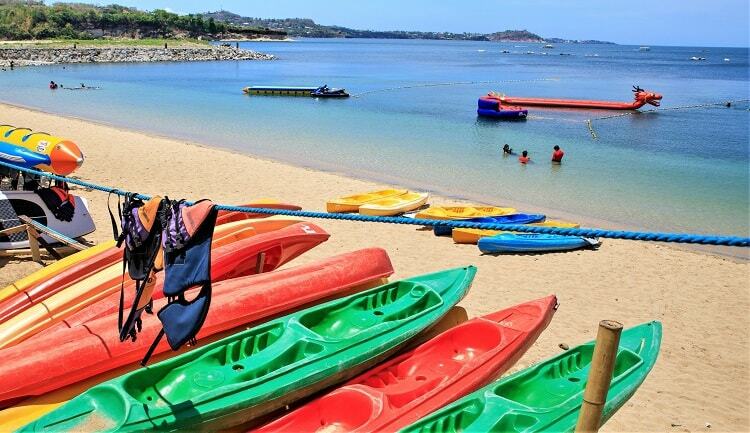 Make sure to visit Lian Beach Batangas on the 18th of May, as that is the day they have their floating raft festival. One of the top 10 beaches in Batangas and the best places to go in Batangas during the festival season! Lian Batangas Beach also has a mangrove plantation that is a very popular tourist destination. Once you have had a chance to see the floats and the mangroves, you will want to make sure that you also pay a visit to Lumaniag Batangas Beach, which is a very popular diving site as well. Verde Island Beach is one the most populated places in the country. This is due to the fact that it is a busy fishing route. The Verde Island Passage connects several ports and many of the country’s fishermen work there and rely on the fishing in that area to provide for their families. This makes the beaches there a perfect place to immerse yourself in the culture of the local people. Best Beach in Batangas City and busiest tourist spot in Batangas! This isn’t the only draw for tourists though, as it is also a very popular diving and boating spot. The oceans around Verde Island are filled with colorful coral, whales, turtles and thousands of kinds of fish. These diving adventures are enhanced by the clear waters in the area. The most popular Batangas city beach, Mahabang Buhangin is one kilometer long and perfect for sunbathing and walking. Bauan is named for the word bauang, which means rugged mountain. Although the hidden mountains are a lovely site, there are many other hidden spots which make this area one of the top beach spots. Sampaguita Batangas Beach has breathtaking green waters and bright white sand, which are a site to see with the Bauan mountains surrounding it. This is the best white beach in Batangas. The best white sand beach in Batangas and an affordable beach in Batangas! This area is perfect for beach activities such as sunbathing, diving and even hiking the surrounding mountains which will give you a breathtaking view of the beaches. If you are looking for a beautiful white sand beach Batangas, or a cheap beach in Bathenas, than this is the one for you! 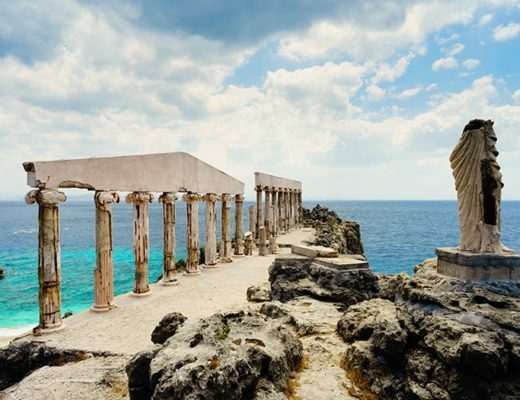 Although Fortune Island Batangas is a tiny island, it is filled to the brim with extreme beauty. The lovely sunsets, pristine white beaches, and vivid blue water will bring joy, and peace to anyone's soul. Because of the warm weather, the water is typically a perfect temperature as well making this place best for swimming for sure! Tip: Be careful to swim in the coves, so that you don’t get caught in the undertow. Be aware of the sharp coral as well. Maybe best to bring some snorkeling shoes with you here! Beautiful coral beach Batangas and the best place in Batangas for photos! Fortune Island Batangas Beaches are also the perfect locations for taking plenty of amazing pictures. 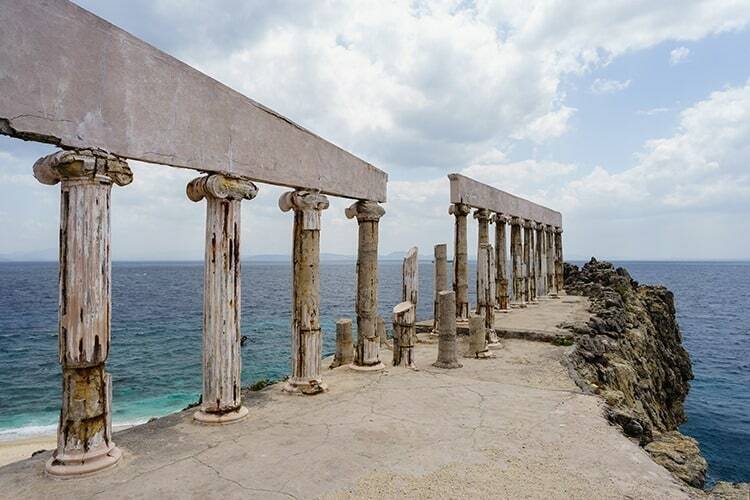 The most popular picture spot on the island is the Athens inspired pillars of the Acropolis. Back when the island was a resort the owner wanted to recreate the acropolis as closely as he could. However, the abandonment of the island has led to a creating a more deteriorated look, which actually adds to the beauty of the place, don't you think? 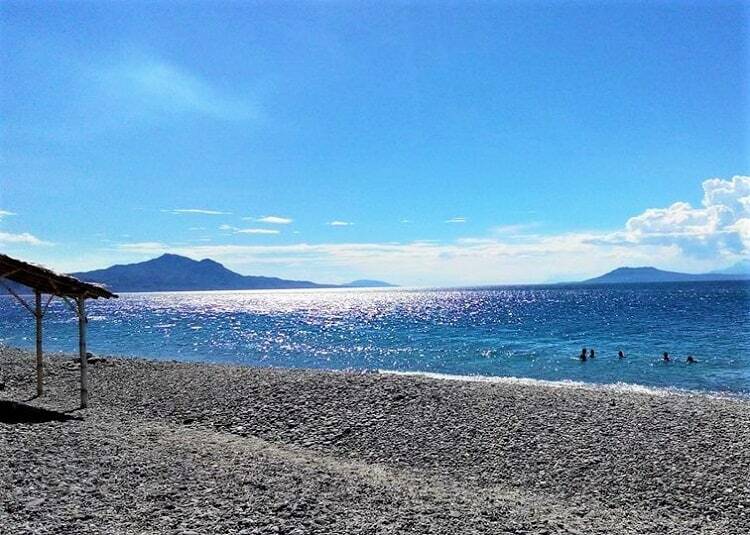 When you look for the best tourist spot Batangas or places to visit in Batangas, you will always find your way here, to the beautiful beaches in Batangas! Regardless if you are chasing a beach in Batangas affordable option or a beach with pool in Batangas, you will find your perfect place here! I love Batangas Philippines and I simply can't get enough of it and I hope that you will love it too! Which of the above is your favorite beach at Batangas? 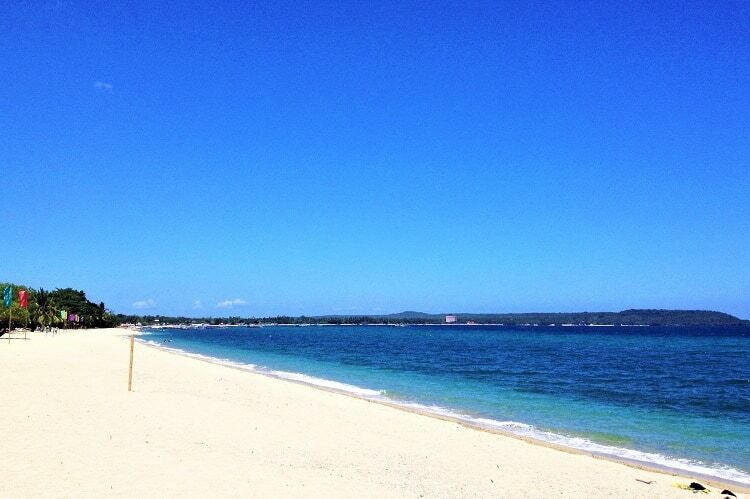 Which of the Batangas beaches white sand options, got your attention the most?